"Rock for MS is the major fundraising event for MSFriends, conceived under the leadership of VisionWorks Foundation president Amelia Davis, and inspired by Jim Marshall.Most of the attendees are young trendsetters with a passion for music with the secondary audience being in Jim Marshall's large network of celebrities and professionals in the music and photography industry." 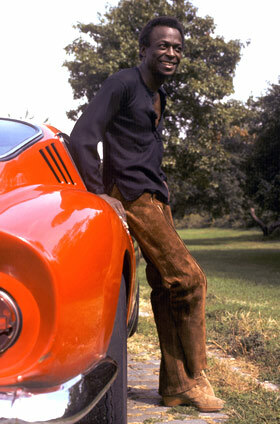 Amelia is looking for donations of photographs of (very famous) musicians with their cars. If you'd like to donate a print, please leave a comment with your name and the musician you have and I'll forward it.